When you’re looking for a tent that will come in handy and be easy to care for, there are many options available. However, it may be hard to distinguish between the different brands and models, especially if you’ve never purchased a tent before. One brand that you should consider is Eureka, or Eurica tents as they are often misspelled. They’ve been making quality tents for over 100 years. 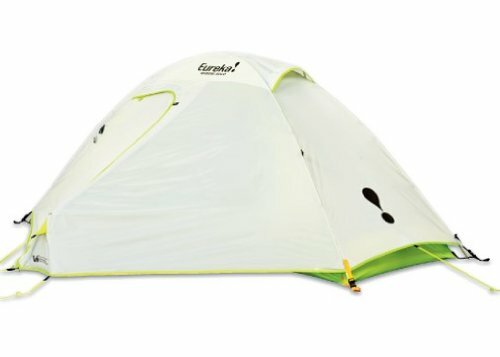 Here are some of their best-selling models of Eureka Tents with a look at their features. 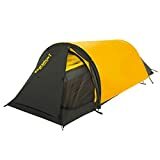 This tent only weighs around 7 pounds and is a freestanding unit, which is unlike many other tents that have to be weighed down or they won’t be able to stand up. It also comes with a large rain fly, which adds an entrance in front of each door. There are two large doors, so getting in and out and not having to step over gear or people is rather easy. Besides that, the interior of the tent is mesh, so there is adequate ventilation to let air flow through but keep the bugs at bay. The Apex 2XT is designed to sleep two with extra storage space. There is more than enough room for essential gear. If you are in rainy or humid climates, there may be some moisture or condensation that gets into the tent. This is because the rain fly isn’t level with the ground. However, this can be a good thing for air flow, since the area is not closed off when the rain fly is installed. 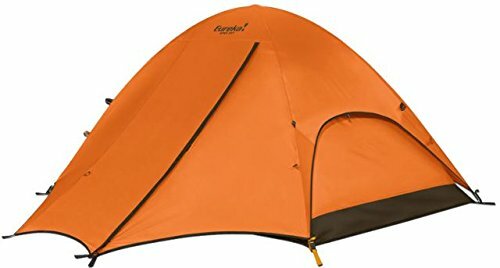 This is a large tent that can sleep up to six people. 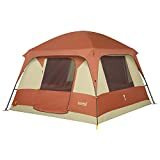 It has a big door in the front as well as large windows on both sides of the tent, for air flow and to be able to see what’s around you. Unlike many other tents, you can stand up in this one, even if you’re over 6 feet tall. This makes it easier to walk around the tent without stooping. A small comfort that can make all the difference. The top of the tent is vented and there is an electrical access port on one side so you can plug in an appliance easily. This tent is too large and heavy to take backpacking. However, it is a freestanding unit which won’t take a long time to put up. Besides that, it is big enough for the whole family to enjoy, and you don’t have to worry about being crammed in. This bright tent is designed to sleep just one. It is great for backpackers because it doesn’t weigh much and the poles fasten to clips instead of having to go in sleeves. The poles are strong and you can count on them. It has vertical sides, so that you don’t get overheated when you’re in it and it’s easy to set up. Besides that, there’s a large rain fly included, which gives you extra space. Some people use the side entrance to slide in rather than the front entrance. This is just because some people don’t like to bend down to get into a tent and the side entrance is closer to eye level. This tent also has great storage space, which you may need when you’re on an expedition by yourself. This is a bivy-style tent, which means it’s low to the ground. You have to get on the ground and back into it to be able to use it. This item is just for one person to use, but it has a lot of room if you aren’t over 6 feet tall. There are extra storage areas and good ventilation as well. Some people don’t want a tent that they can’t sit up in, which is a problem in this one since it’s so close to the ground. It also must be anchored to the ground as it is not freestanding. 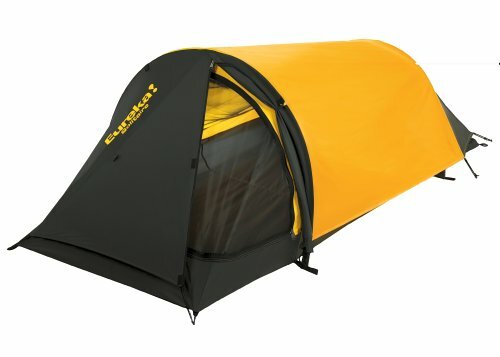 However, it’s a unique tent that has a lot of room for one, even if you have a lot of gear with you. 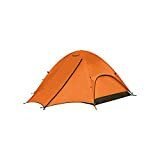 If you’re wondering what the best Eureka product is out of these tents, it’s the Eureka Apex 2XT Two-Person Tent. This is because it has a little bit of everything. There is good ventilation, storage space, and you have a large rain fly to protect you from everything else. Even if there is a bit of condensation, you still don’t have to worry about any bugs, which is a fair trade off. For the solo traveler, the Eureka Midori Solo is great. It also has good ventilation and a helpful rain fly, as well as easy assembly, and a freestanding design. It is also lightweight enough to be able to use when backpacking. The Eureka Copper Canyon 6 is a great choice for larger families or someone that needs a lot of room. There are large windows for ventilation and you can stand up and walk around inside of it. Besides that, it has a special port for electrical access, so you can catch up on your entertainment. Lastly, the Eureka Solitaire is still a good deal if you don’t mind being close to the ground. 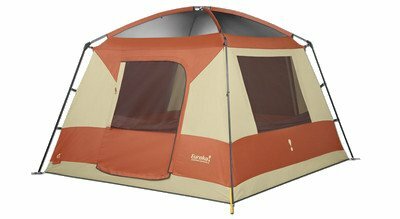 It has a fair amount of mesh for air flow, and there is a lot of room, considering it is a one-person tent.